Looking for something to do on a Tuesday afternoon residents of Hyde Park? Visit Lavender Fields tomorrow, located only 35 minutes away from our home here at Hyde Park. Lavender Fields is allowing an inside peak of their retail and commercial operations. 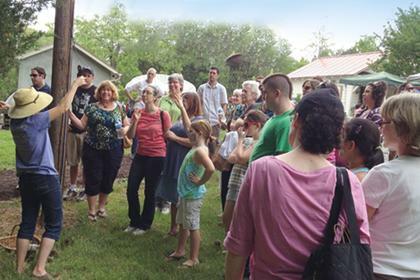 You'll get to learn the farm's history, a look at bee hives, and see their greenhouses! You will get to learn how Lavender Fields transformed from a Lavender farm to a "nursery on a farm specializing in herbs and vegetable plants." You'll get to enjoy free ice cream at the end of the tour – how sweet!